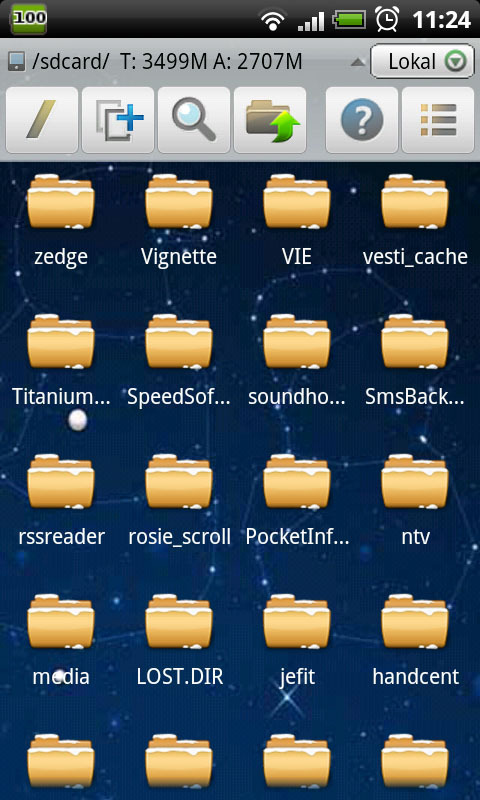 ES File Explorer - Browsing Galore! Simplicity is the answer! Everything’s got to be at the snap of a finger nowadays. That’s how I see things as far as file browsers are concerned. Nothing complicated should stand in your way when you’re searching for important things on your phone – whether they’re vacation photos, mp3s or vital system files. Functionality is a number one priority for a file explorer. It’s hard to get things just right and find the middle road between too many and too few features. 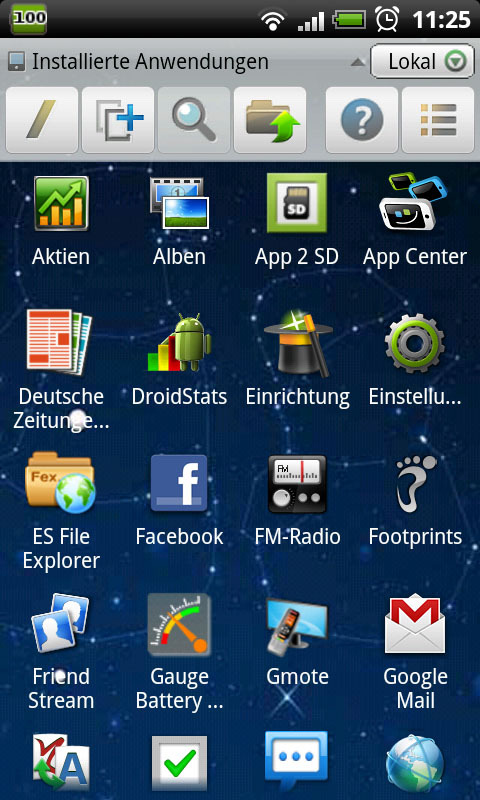 ES File Explorer is trying to make a name for itself in today’s test. Read on to find out if it has what it takes. What makes any old file browser into a great one? People tend to have different preferences in this respect. It should be taken for granted that any file explorer has to let you copy, cut, move, rename and delete files and folders. That’s a no-brainer for most people and ES File Explorer includes all of the above. In addition you can also look at any file’s properties to find out any important details. Something that was missing from earlier version of Windows Explorer is included in ES File Explorer: the search feature. And it works really well! Just select whether you’d like to search for all video and audio files, only runnable apps or zip files. Of course you can also choose to search for any file by name. This searches through your entire SD card for a specific keyword. If you have no interest in the search feature, you can have fun with sorting your files according to size, name and file type. Need to create a new file or folder? That’s really easy to do and is part of any regular explorer. ES File Explorer let’s make new things and fiddle around with their names. Enough with all these mundane features and let’s move on to some of the special features ES File Explorer has to offer. To start us off, this app allows you to effectively handle zip archives as well as browse an FTP server or your own computer. The ES File Explorer has no issues with opening and unpacking zip archives using the menu options. In order to get access to your own LAN or an FTP browser you’ll need to have the right configurations. The SD Card Analyst shows you all the folders on your SD card. There’s nothing special about that, but the thing is that you can also see how many files and subfolders are hidden behind each folder. That’s really useful if you’re looking for something specific and do not want to waste time looking through empty folders. At the bottom of the screen you can see how much space is being used on your SD card. I don’t really understand why ever file manager also needs to include an app manager, but in the case of ES File Explorer it’s actually a nice addition. It’s really simple to uninstall as well as create backups for your apps. Unfortunately, the app manager doesn’t allow you to select multiple apps to uninstall with one stroke. ES File Explorer has a solution for those of you that have filled up your browser bookmarks. The features of the integrated bookmark manager are still a bit rudimentary, but it’s a good start. Using it you can import bookmarks from your Android browser and sort them into your own folders. The good thing is that you can then place these bookmarks directly on your homescreen. ES File Explorer includes all of your standard features and even a couple of additional special ones. Great controls combined with a beautiful user interface make this a great app! ES File Explorer is probably one of the most beautiful file managers out there. With five different themes to choose from and integrated animation this app has made a great leap forward in terms of design. It’s great to see that the developers haven’t let functionality obstruct their sense of style. You can view your files in grid or list form – whichever way you prefer. The icon size is also adjustable. Look up all these options in the settings. The controls are simple and effective. All the most important functions like the multiple selection are to be found in the menu tab at the top of the screen. Long tapping a file, folder or zip archive opens up a submenu with all the relevant information. You’ll barely ever have to press the menu button, other than to open Settings or another manager. ES File Explorer performed magnificently during out test! ES File Explorer can be downloaded for free from the App Center. I have no problem .. This is too perfect File Explorer That Save My Life!